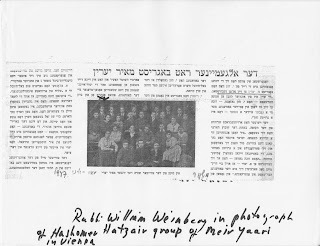 The Vienna Chapter of Hashomer Hatzair, showing founder Meir Yaari, middle,second row, and my father, Wilhelm Weinberg, last row, on left. Mishmar, May-June 1947, on 50 the Birthday of Meir Yaari, the founder of Hashomer and Mapam. 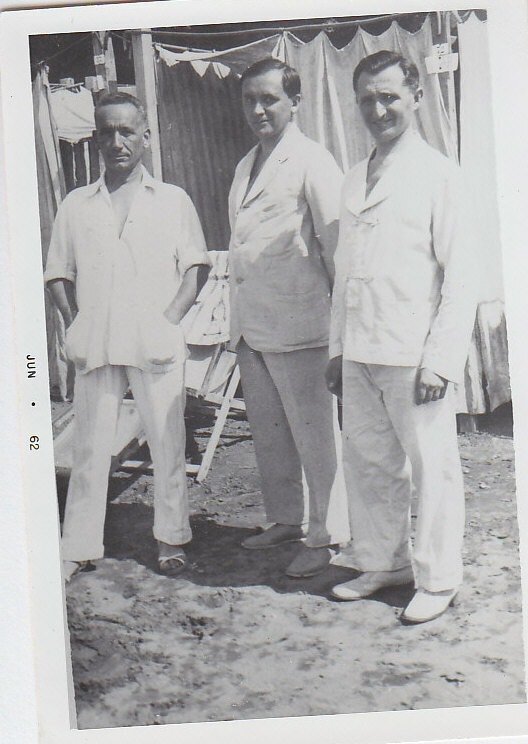 The article describes the adulation heaped upon Meir Yaari for his role in founding major institutions in then British Palestine, soon to become the State of Israel. 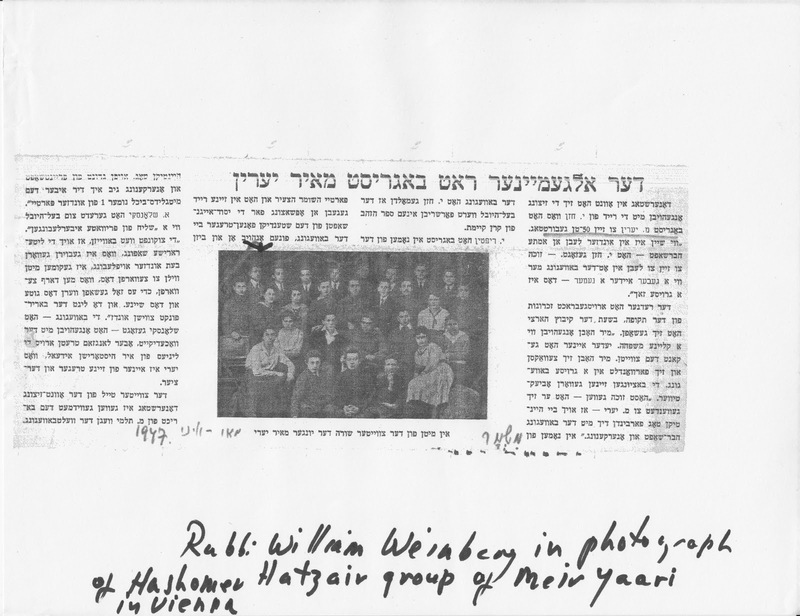 His colleague, and co-founder of the movement, the Kibbutz Artzi and Mapam, Y. Hazan, described the early years in the kibbutz movement, which could well have described the early years of Hashomer in Vienna,".” We were like a small family. Each one knew the other. 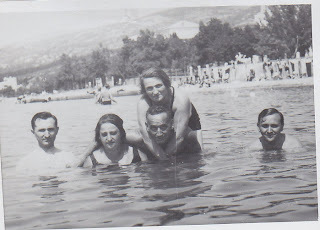 We grew up together and moved upward in a great movement"
Scenes from the better years, when the Weinbergs could spend a pleasant summer on the beach somewhere on the Yugoslav coastline.C. 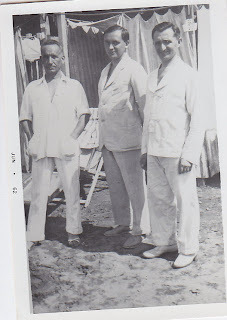 end of 1920s, early 1930's. The family had business interests in Trieste,a former part of th Austrian Empire that had been occupied by Italy, and the Benjamin spent much time there to oversee the business. 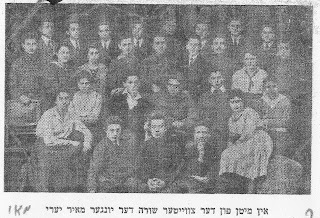 My father, center, with his brother, Munio, right, and uncle , Jonah Gelernter, noted Hebraist and teacher of Hebrew at the Vienna Hebrew Gymnasium.Before World War I, he was active in Galicia, in the area of Stryj, with the Ivria Society for the revival of Hebrew as a living language and culture. 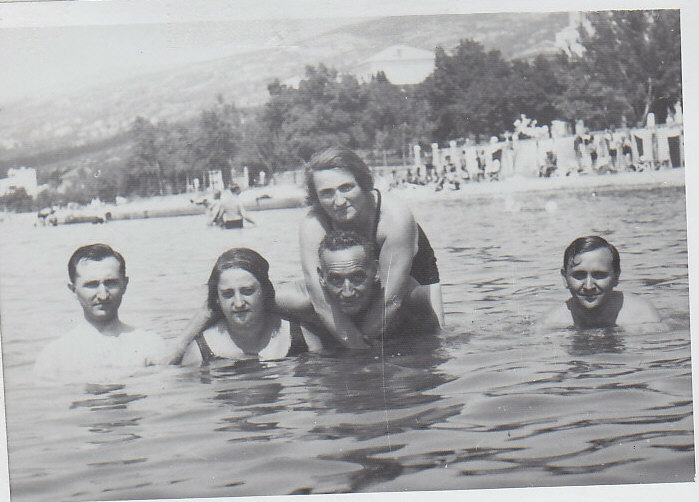 On the beach in better days:left to right, Benjamn( Munio),unknown woman, Jonah and on his shoulders,his wife, Sarah, sister of Samuel Weinberg and aunt of my uncle and my father, on the right.